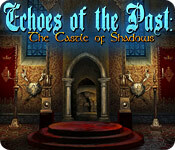 Echoes of the Past: The Castle of Shadows is rated 4.0 out of 5 by 45. Rated 5 out of 5 by jewel_43 from Well worth the money! What a great little game! Not too hard and moves along very smoothly. There is no feeling that you might have overlooked an important item and would have to go back and rectify that...just a nice easy little game. The only complaint I had was that some of the mini-games were just that little bit time consuming and so I tended to skip a few of these. The graphics, while not as true to life as some of the other games, were still good....music was not intrusive at all. This is my first 'Echoes of the Past' games and if this is a good indication of the quality then it will definitely not be my last! Rated 5 out of 5 by pennmom36 from Echoes of the Past: The Castle of Shadows SE When the Royal House Museum invites you to visit their latest exhibition, you jump at the chance to see 19th Century art centered around this cursed Royal Family. Rumor has it, one painting in particular is haunted! Sure enough, a mysterious woman featured in this painting asks for your help once again. The witch has destroyed the family Amulet and scattered it's pieces throughout the kingdom. Can you find all the pieces and lift the Royal Curse, or will you become a mere stone statue and join the Royal family members forever? This isn't an easy game, I found myself looking at the Strategy Guide on more than one occasion, which is something I don't usually do, so for that reason alone I recommend the Collectors Edition over the Standard Edition. Throughout the kingdom you will see several "ghostly" objects, grey and misty, which are missing objects that need replaced once found. Ghostly spirits will also appear with a dilemma of sorts, once you solve their dilemma, they will reward you with a piece of that all important Amulet. 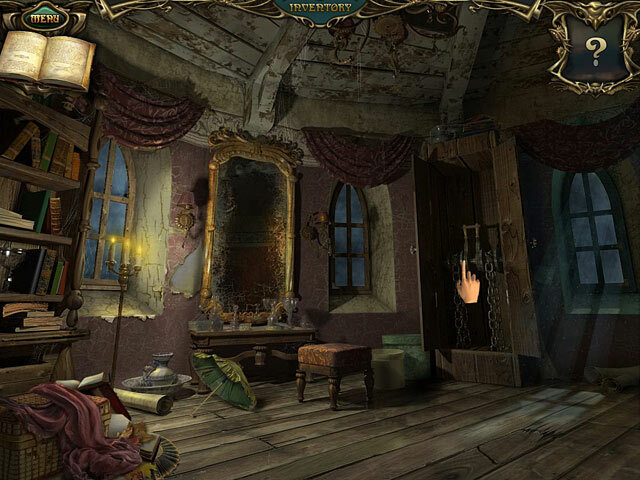 The Hidden Object Scenes are very well done. The first time you play the HOP, the items are interactive list finds. The second time you revisit that scene, you will replace items found from a different scene back into that scene where they belong. Some of the scenes are repeated a third time with multiples of a single item such as 15 feathers or 15 arrows for example. 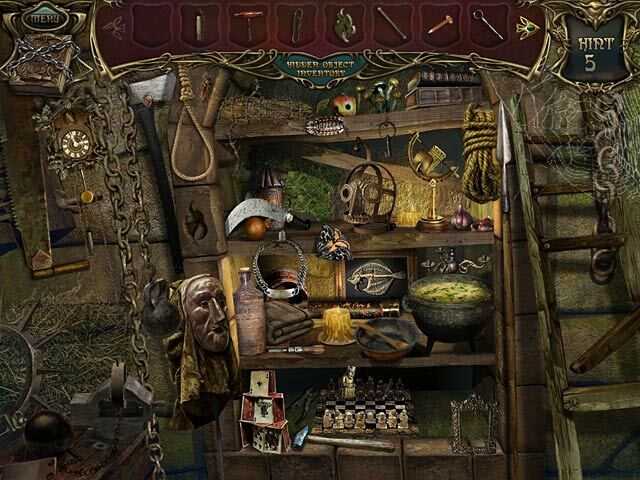 Each scene contains two mirrors that aren't on the list, which will give you an extra hint for each mirror found, however the hint system is very vague outside if the hidden object scenes. The Mini Games are my favorite part of this series. 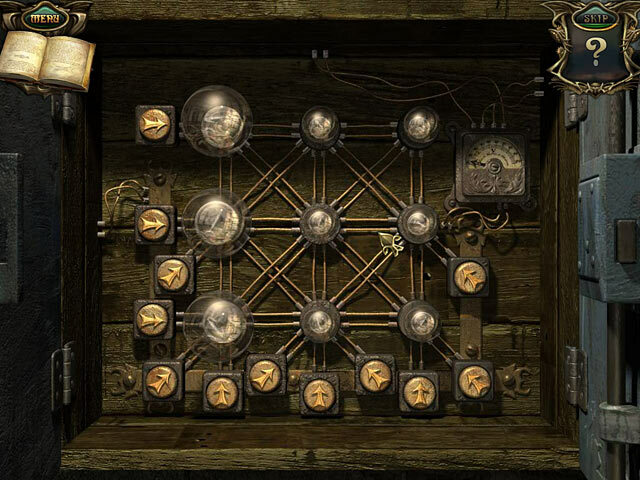 Almost every puzzle is unique even though this is an older game. My favorite was correctly placing figurines upon two shelves with only scraps of torn images as clues. The Collectors Edition doesn't have a lot of frills, Wallpapers, Concept Art, a Bonus Chapter and a Built in Strategy. As I stated earlier, this is a difficult game at times, and the fact that I could use the built in Strategy Guide when I got stumped, was invaluable, enjoy! Rated 5 out of 5 by methosfl from Liked...hated...LOVED!!! Started out thinking, "oh this looks like it's going to be cute." Moved onto, "Ugh, not much action, yawn." By the end of the first hour, WOW!!! The storyline is really rather non-existent but the graphics are gorgeous and the music is beautiful. But the puzzles??? Wow. The sheer variety and creativity were amazing. The HOGs weren't just "find 'em", but later "put 'em where they belong", the sugar in the coffee, the lid on the pot, etc. No blood, guts and gore, not creepy or eerie but wow, what a challenge. The mini games really made me think and yes, the instructions were pretty much useless. Half the challenge was figuring out what to do, the other half actually doing it. I did skip one puzzle and when I looked at the walk through afterward (I did get stuck on the game once and had to cheat just a little), I thought, "well duh". I had figured out A and B but didn't put them together to get C. So this is a thinking/reasoning/deducting game more than anything else and man, what a blast! Rated 5 out of 5 by neilskinut from Great fun All the echoes of the past are great fun games. Not too much moving all around to keep play flowing. Rated 5 out of 5 by AshleighMK from Great series Another series that I own all of - and look forward to more. Rated 5 out of 5 by aleta59 from More good echoes Did the last game first, loved it, and this one was really good, too. You have to find the amulet pieces to unfreeze the castle residents from the latest spell (this witch sure does get around, don't she!). Be sure to collect the mirrors in HO scenes for more hints. HOS very clear and interactive and some are put backs, which are really cool. Great graphics, storyline and VOS. My time: casual 4 hours. Rated 5 out of 5 by goodgizmo4 from challenging I have to say some of the mini-games were almost too hard for me. I didn't understand how to do them, so had to use walkthrough for the answer, but still didn't understand how it was done. stumped me! The game was very long, which was excellent. Definitely got my money's worth! I didn't like crossing back on the raft. I think once you crossed the river, the other area should have been done. Other than that, I really enjoyed the game. I like it when I have to think a little and this made me do just that. Didn't have to use hint too many times so had a good number of those built up. Great game...I would definitely recommend!